Filipinos have the knack of coining words which later on is added to the Filipino vocabulary as another word. Balikbayan is one of these terms; Balikbayan” is the local term for Filipinos who went overseas for holiday, work, study, or even those who migrated and returned to the Philippines to have a holiday or decided to stay for good. 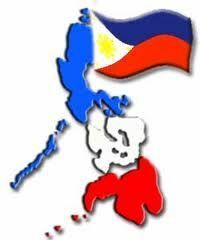 It’s a combination of two words which are “balik” (meaning return) and “bayan” (meaning country). For balikbayans, going home is not only an exciting moment but also a dreaded moment (for some) especially if you don’t have enough budget to fulfill the expectations and traditions. Balikbayans’ are expected to distribute “pasalubong” (a.k.a. goodie bags) to majority (if not all) the relatives and friends. Also, it is a tradition to prepare a feast and overflow of alcoholic drinks and soft drinks for the whole community. Of course, the much awaited balikbayan box must not be forgotten. This can be sent beforehand so that it will coincide with the balikbayan’s arrival. It can also be used to send presents or supplies back home. However, if you don’t want the hustle and bustle in fulfilling the “role” of a balikbayan, then you can have the option to quietly sneak in and out the country. It will be less stress as well. It’s the balikbayan’s choice. Now you know.